Barcelona is one of my favourite cities in the world and place I can’t stop returning to. It’s like a second home to me: the place where I mended a broken heart, re-found my independence and fell for a city like no other before. Later, it’s where Steve and I got together, and in the years since, we’ve returned again and again, even living there for short stints. 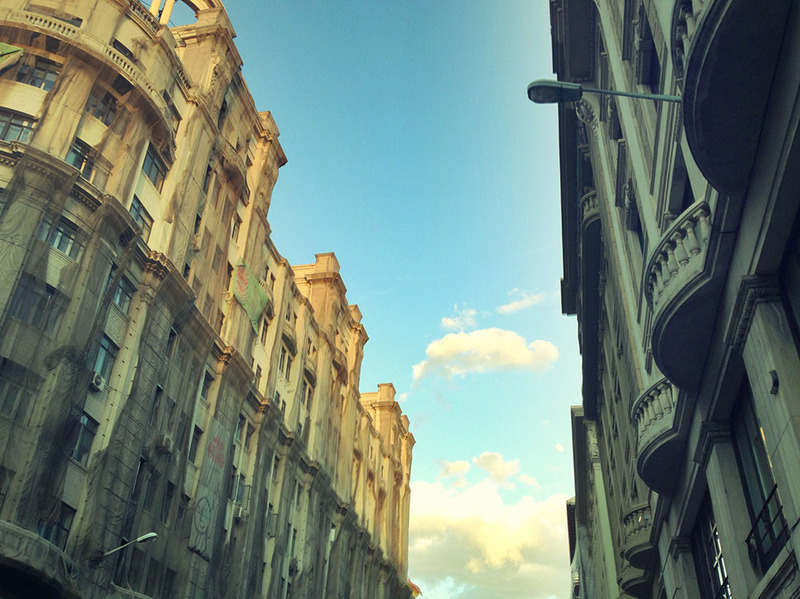 I love the winding streets lined with balconies, and independent bars, restaurants and shops. I love the sea, the beach and the gorgeous parks filled with laidback folk and the sounds of guitars and pan drums. It’s a city that reveals more secrets every time I visit. 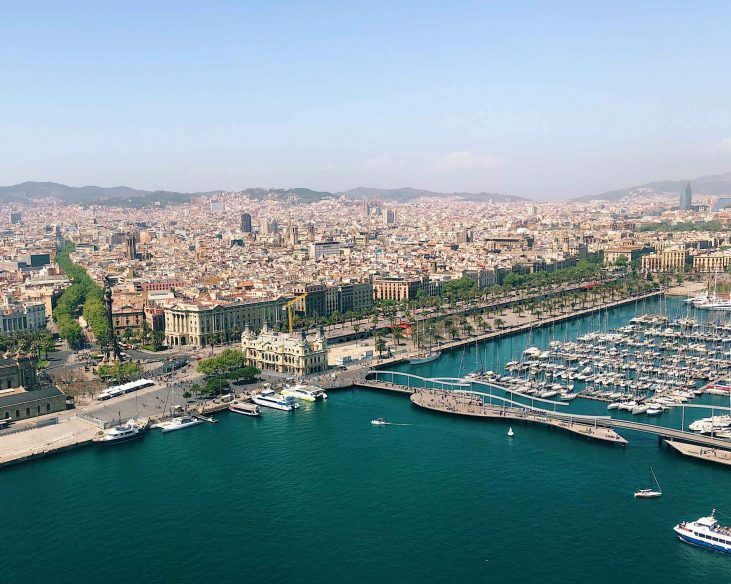 Before you go, familiarise yourself with the different areas that make up Barcelona. This might help you choose where to stay, depending on your interests. This is where I lived. It’s the older part of town and is made up of atmospheric winding streets, pretty squares and tons of little bars, cafes, restaurants and shops. It can be touristy in places (especially closer to the Rambla) and you may see the odd stag do parading about, but that doesn’t dominate the area, and you can almost always find a quiet or local spot. You wouldn’t want to miss this part of the city. This area is similar to Barri Gotico but a little more up-market. Its centre piece is the wonderfully imposing Santa Maria del Mar church, which gives way to a maze of little streets. Metro stops Urquinaona or Jaume I are good jumping off points for the barrio. Raval is on the other side of the Rambla to Barrio Gotico and is often referred to as “the wrong side of the tracks” due to its past reputation as a no-go area for tourists. Since the 90s, it’s started to clean up its act and is now a trendy area that rivals Gotico and Born for excellent restaurants, bars and cafes. The further north you go (which is home to the university), the smarter it gets, with the southern end still being pretty rough around the edges. Gracia is one of my favourite barrios. It has a great bohemian village vibe and a thriving Catalan community. Situated in the north of the city, it’s a little more out of the way than my other favourite barrios, but definitely worth a visit to lounge and people-watch in one of the plazas. This working-class enclave has some great tapas bars and is a great place to wander around in the day en-route to the seafront, which it borders. I particularly like walking along the promenade next to Port Vell and then following it along the coast. Barceloneta has a different flavour at night. It’s next to the Port Olympic, which is home to some of the city’s most touristy clubs and is magnet for the city’s stag dos. For my taste, Port Olympic is best avoided. Like with nearly every city we visit, the thing I like to do best is walk around exploring different neighbourhoods and punctuating our days with delicious food. 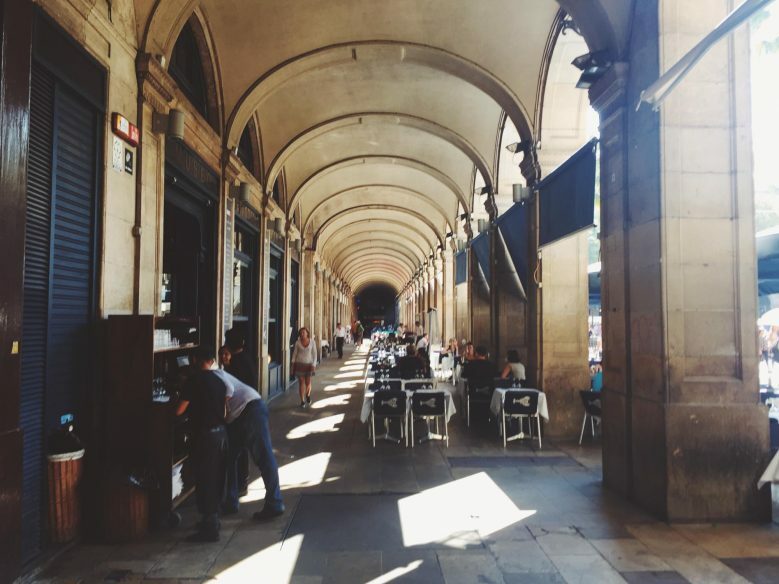 Barcelona is perfect for that with its beautiful winding streets and sunny weather. You can also hop on the metro if you find you’ve staryed too far and need to get back somewhere quickly. I recommend wandering and losing yourself in the city’s beauty. And here’s a list of some of the places you might like to visit along the way. This park is one of my favourite places in Barcelona, if not the world, especially at weekends. It’s the perfect place for people watching, full of slack-lining hippies, guitar players, tap dancers and families picnicking. Take a blanket and a coffee and soak up the laid back vibes. It’s pretty big, so take a walk around and choose your favourite spot. 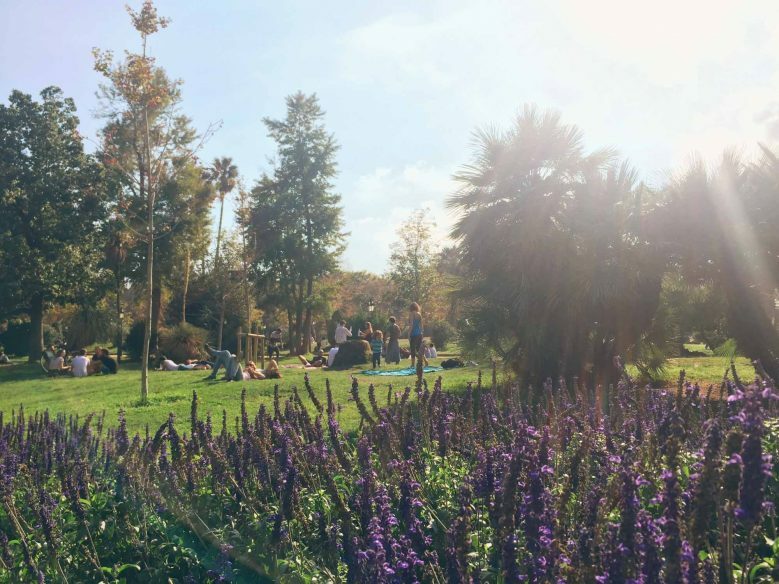 The park is accessible from the Born area or you can walk down from Arc de Triomf. This sculpture park high above the city was designed by Gaudi and is brilliantly absurd with great views. 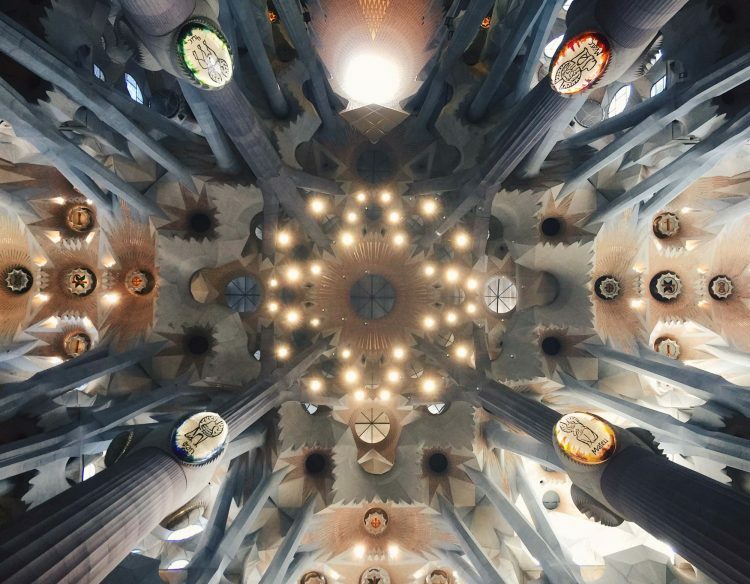 Even if you’re not a fan of Gaudi, it’s still worth seeing. Some people love it, others hate it. I’m most definitely in the love-it camp, but either way, there’s nothing quite like the Sagrada Familia and I’d definitely recommend taking a look, even if just from the outside. I recommend doing the audioguide, which gives a brilliant (and not too long) overview of the building and all its history. The Sagrada Familia is incredibly popular and tickets are limited each day, so arrive early to avoid disappointment. I didn’t go to the Picasso museum until I moved to Barcelona, and I’m not sure what held me back as it’s brilliant, offering a fascinating insight into the artist’s life and the trajectory of his work. From Plaza Espana, you can walk up to Montjuic (one of the hills surrounding Barcelona). I have only ever walked down, but I’m told the ascent is quite a climb. If you’re not feeling up for the hike, you can get the funicular from Parallel metro stop. From there, it’s easy to visit the Miro museum, which holds regular exhibitions alongside the permanent collection. From Montjuic, you can get the iconic teleferico cable car across to the beach. In the summer, they hold open-air cinema nights in the moat surrounding Montjuic’s Castle. If you’re there at the right time, don’t miss the opportunity to enjoy a spectacular evening. I also recommend visiting the Mossen Costs I Llobera garden, which is a stunning display of cacti with gorgeous views out to sea. If you’re looking for modern art, the MACBA is the place to go. It’s in the northern part of Raval, near the university. I’d also recommend the Caixa Forum museum, which often holds interesting contemporary art exhibitions. An extra jewel in Barcelona’s already bursting crown is its location on the seafront. 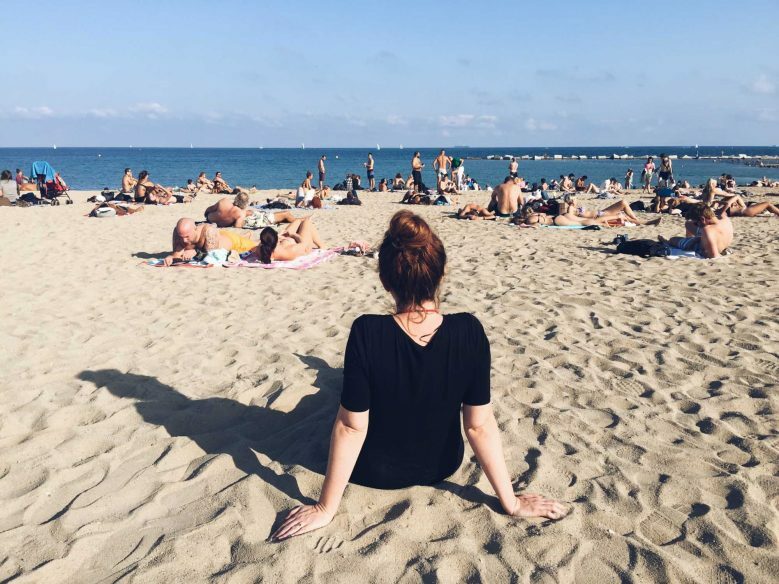 Even without this, it’d be a spectacular city, but being able to stroll along the seafront or even visit the beach makes Barcelona extra special. To get away from the crowds and find cleaner water, it’s best to head down to beaches slightly further from the city centre, like Mar Bella, Boatel and Nova Icaria. 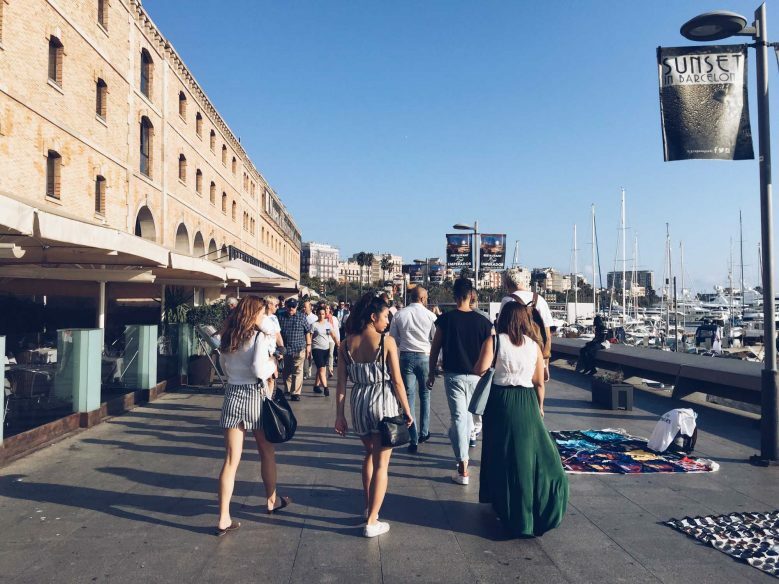 Barceloneta is the closest to the centre, but this can get jam packed and the water isn’t the cleanest. That said, I still love it, and always take a walk along the Port Vell and Barceloneta seafront whenever I visit Barcelona. 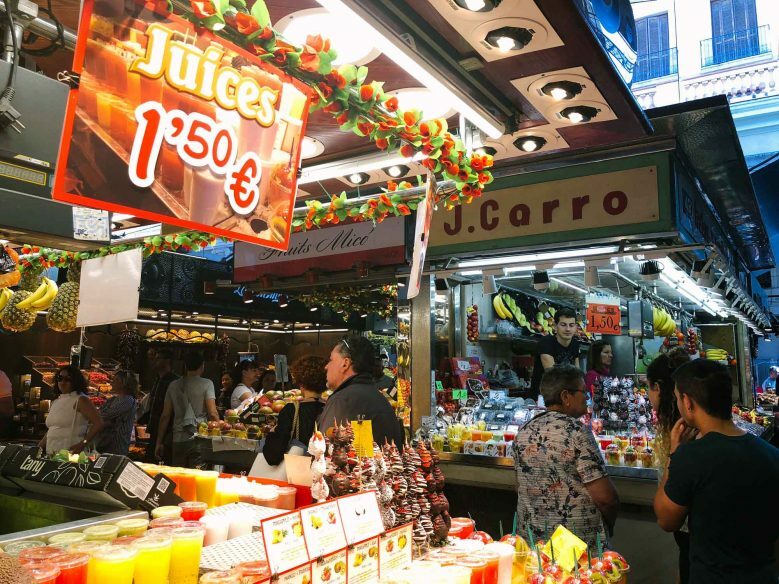 And finally, I may not like the Rambla but you have to go there to get to the Boqueria Market. Despite being wildly busy, it’s a wonderful “must-see” market, full of fantastic fruit and veg. There are also some great tapas places at the back. Find more things to do on Visit Barcelona’s website. Steve and I are shameless millennials with an avid penchant for brunch. These are a few of our favouirtes. 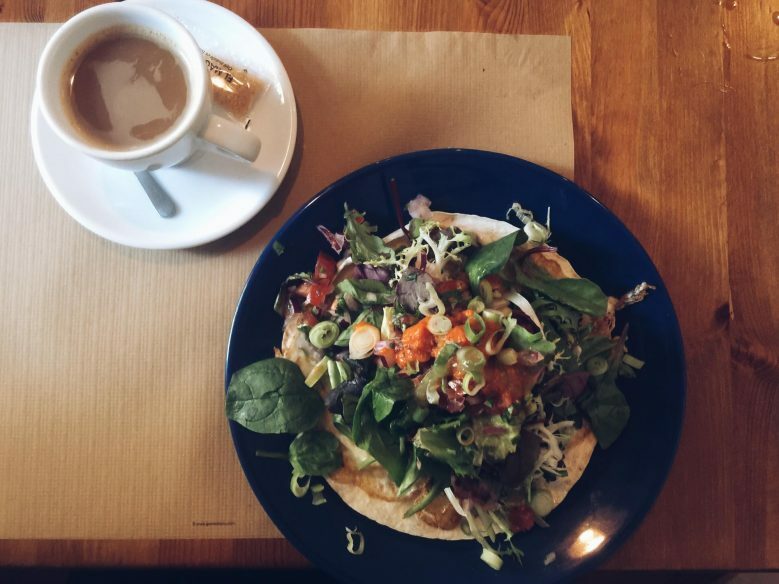 Mostassa, a self-branded ‘ethical kitchen’, uses locally sourced ingredients where possible and has a focus on healthy, wholesome food. We had the huevos rancheros, which were some of the best I’ve ever eaten (and I am a huge fan of this dish!). It has a pared-down, laid-back style and is definitely a must if you find yourself in the Eixample area of the city. It’s very close to Gaudi’s La Pedrera, so would make a good lunch stop if visiting there. Picnic was buzzing with a weekend crowd on the morning we visited, the bright restaurant filled with chipotle bloody marys and colourful bellinis. The seasonally-dated menu has full meals as well as smaller sharing plates, including classes like pancakes and french toast as well as meiterrranean-style dishes such as burrata and fried green tomatoes. I ate the huevos rancheros (again!) and although not as incredible as the ones at Mostassa, they were still delicious. Picnic is just on the edge of Born, near to Ciutadella. 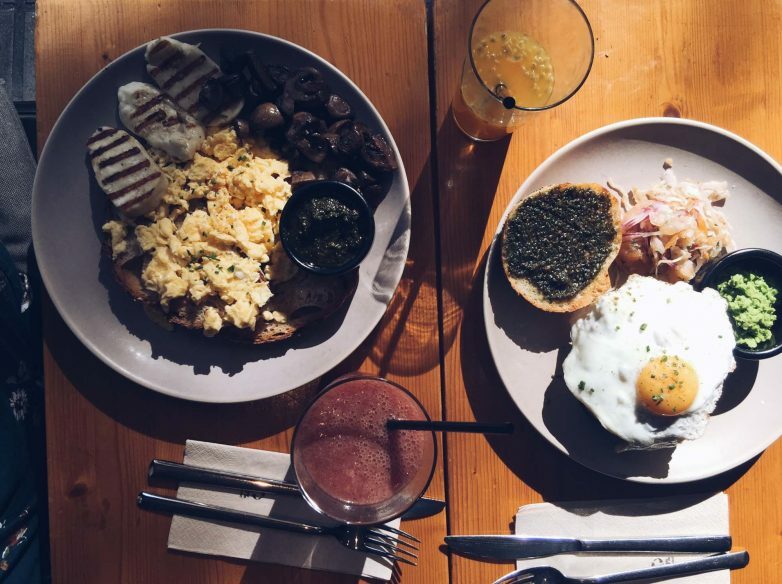 La Federal was on every list we saw of the best brunches in Barcelona, so we decided we had to try it for ourselves. There are two locations in Barcelona, one in Gotic and the other in Sant Antoni, a trendy area on the other side of Raval. It was opened by two Australian locals and wouldn’t be out of place in Melbourne (perhaps the best city for brunch in the world). We went on a sunny day and the whole front of the cafe was open, bringing the outside in and enhancing the already bright and airy space. The menu has all the brunch staples, plus some creative additions or twists, such as a veggie brunch burger or coconut pancakes. The only downside was our waitress who was hands down the most rude waitress I’ve ever come across – she scowled and sighed every time we asked for something and didn’t smile once. 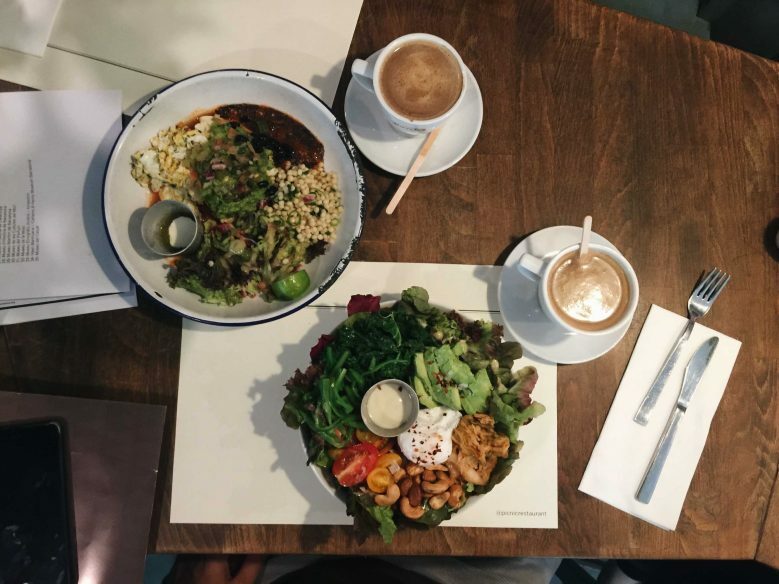 Brunch and Cake is a small hipster cafe chain in Barcelona, specialising in colourful, fresh dishes with some unusual ingredients, for example, deep green matcha pancakes. The food was delicious, the beetroot latte not so! Bear in mind you may have to queue (we waited 30 minutes on a Sunday morning). Yep, we did tend to eat both brunch and lunch, but we like to make lunch quite light, opting for tapas or snack food. Some of our favourites are the following. For tapas, I always recommend El Vaso de Oro. It’s a guidebook favourite, but also very popular with locals as the quality is top-notch. The narrow, rowdy bar is a great place to try some of the classics in an authentically Spanish atmosphere. Steve and I are in love with pimientos de padron, often called Russian roulette peppers because one in ten is very spicy. I’m also a fan of the clara – a refreshing beer mixed with Fanta Limon. If Vaso de Oro is full, there is another good, and slightly cheaper, option around the corner called Jai-ca (Calle Ginebra 13). We didn’t do any research before stopping in at Lonja de Tapas: we were simply hungry and fancied sitting somewhere where we could enjoy the view of Santa Maria del Mar. 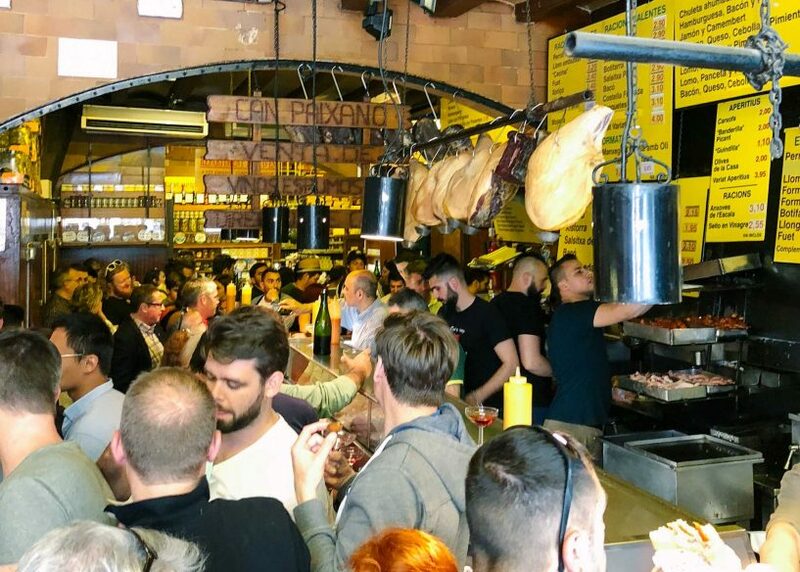 There’s a cluster of tapas restaurants right next to the church, and although not on the same level as the tourist traps you’ll find on the Rambla, there’s no denying that these places are squarely aimed at visitors. However, in spite of this, we found the food to still be good, and sometimes it’s worth a paying a little extra for the view. Mmmmm, Gusto del Born was a staple of our diet when living in Barcelona. 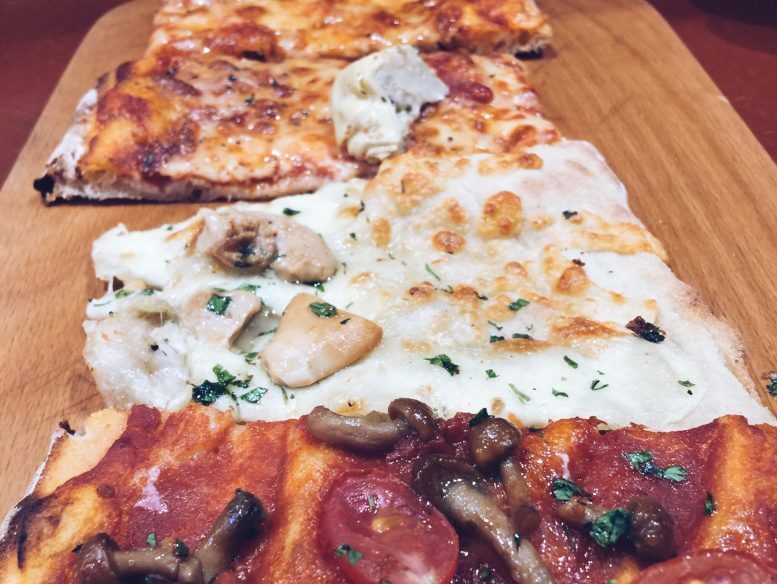 The by-the-slice pizza restaurant serves up delicious thin-crust pizza at reasonable prices day and night. It’s delicious! 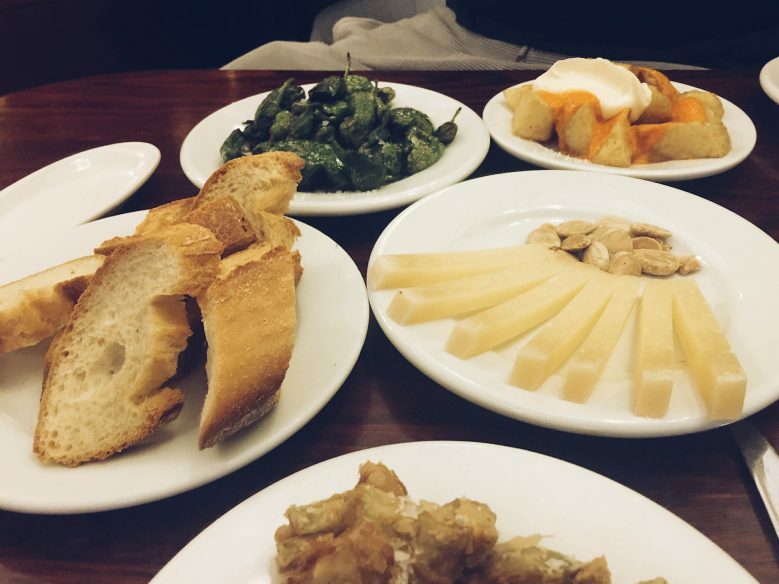 Whenever I book a new flight to Barcelona, I immediately start dreaming of the food. 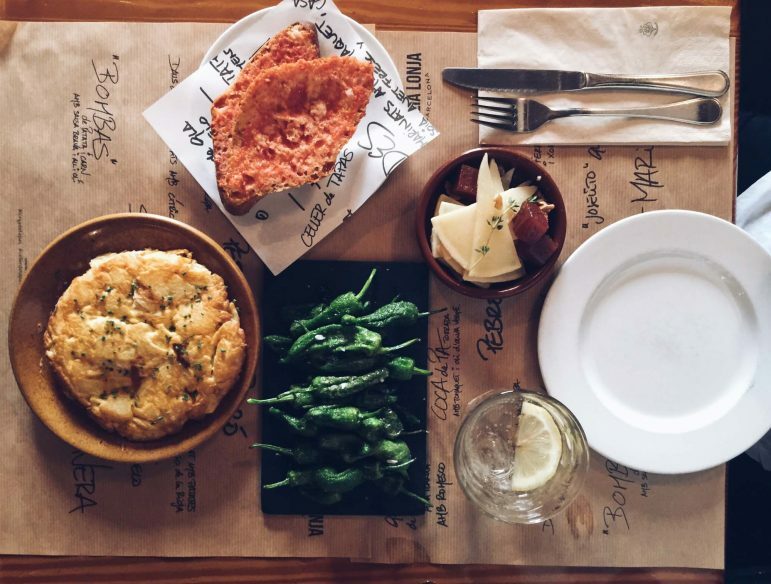 These are some of our favourites for dinner in Barcelona. 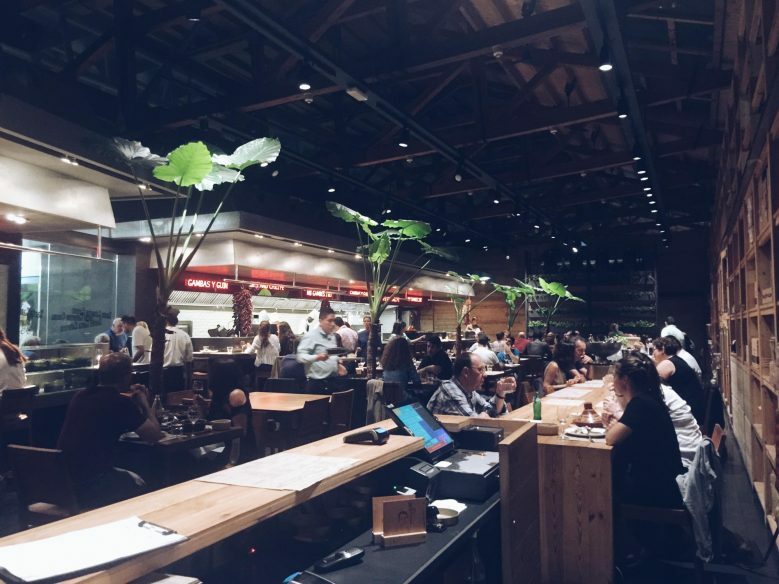 Half of the appeal of Cuines Santa Caterina is the building itself, housed alongside the Santa Caterina Market in a high-ceilinged, plant-filled restaurant with an open kitchen and floor-to-ceiling windows looking out onto the market and the square. It was designed by the same architect who did the Scottish Parliament. The international menu has foods from around the world, split into different sections of rice, vegetables, pasta, meats, seafood and eggs and then categorised as vegetarian, mediterranean, world and grill. In spite of the huge diversity, it’s all done well and I’m a big fan of the tofu curry and the oven-baked provolone. 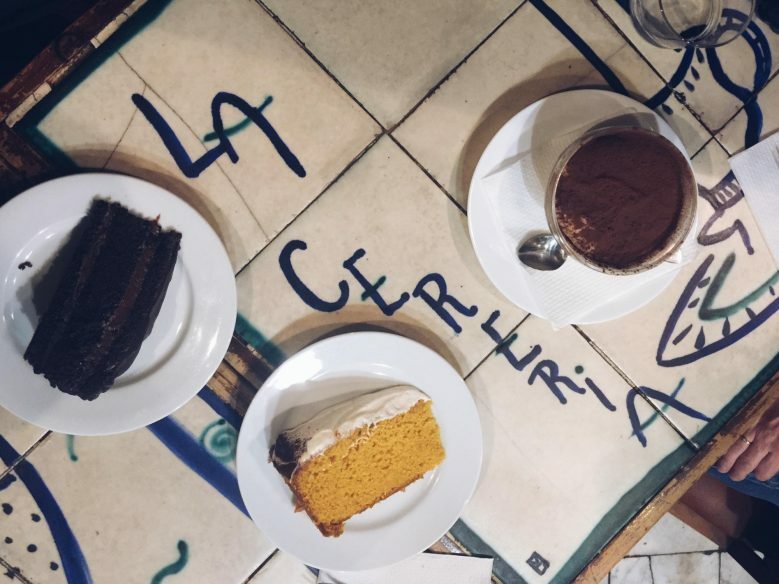 La Cereria is the restaurant I’ve been to most in Barcelona – I love everything about it, from the veggie food to the colourful interiors and friendly staff. Sadly, my favourite dish, the pizza, is no longer on the menu, but they are serving piadinas instead, which were a good (although not as good) substitute. It’s run by a co-op and they have a second restaurant, La Bascula, in Born. Rasoterra is a high-end, light-filled vegetarian restaurant in El Gotic with a focus on honest, convivial, thoughtful food (see their 8-point manifesto). 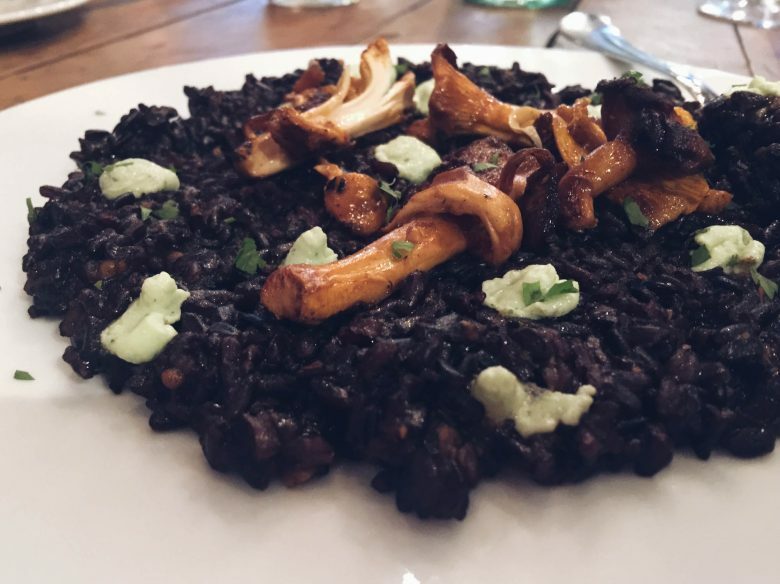 The food is inventive and exquisite: and it goes down as one of the best vegetarian restaurants I’ve been to. Our carnivorous friends were equally impressed. The restaurant has its own garden where they grow much if their produce. Vegetarian or not, don’t miss it. This small, elegantly hodgepodge restaurant isn’t an obvious choice for vegetarians, but one of the three daily mains is always veggie, and unfailingly divine. It’s tucked away on a side street in Barrio Gotico, and is a good romantic choice. That said, I also held my birthday meal there one year. The square around the corner is a good spot for some al fresco pre- or post-dinner drinks. This is a wonderful hidden gem tucked away behind the city’s shopping district in an area filled with antiques. 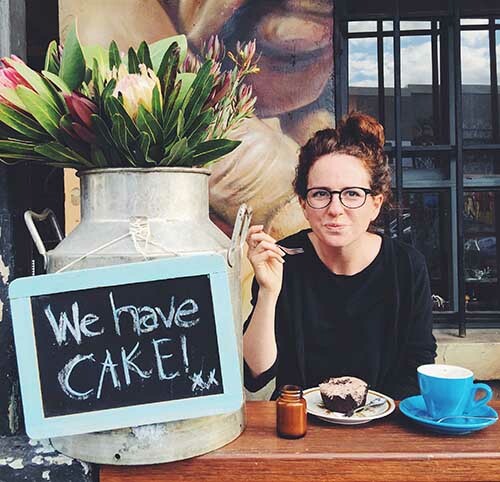 Fitting in with the vintage theme, Caelum is a charming underground cave specializing in wine, cakes and all things sweet. It’s really worth searching for. 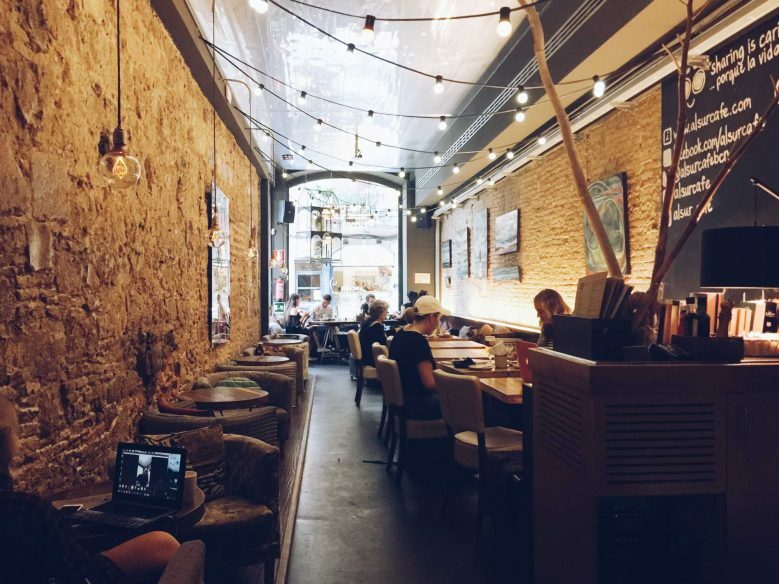 Barcelona is one of the first places I tasted the digital nomad life and this was the café I’d most often go to for long writing sessions with a cup of coffee. 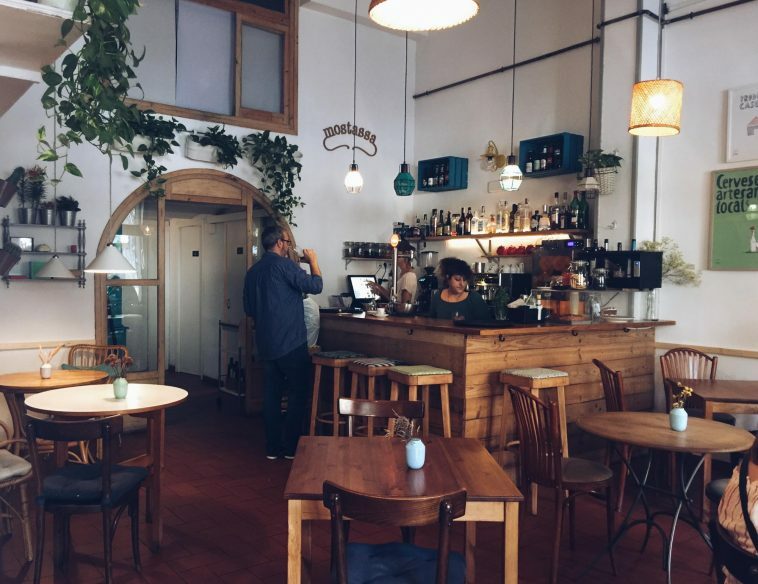 The Born branch is a sprawling café that spills out onto one of the barrio’s plazas, and is a great place to wile away many an hour, chatting, working and eating cake. It also a lively place in the evenings when the coffees switch to cocktails. 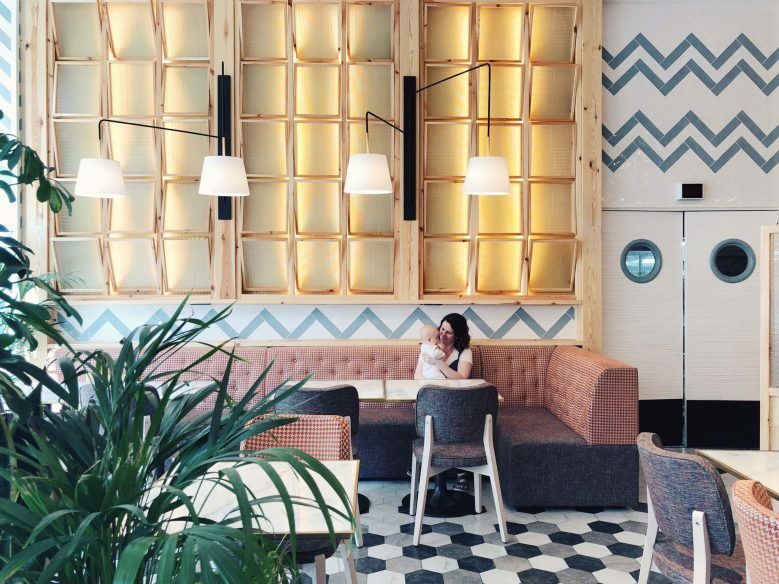 Clandestina is another of Barcelona’s independent cafes, artfully decorated with colourful umbrellas. The tea menu is delightful and there’s good wi-fi inside. Oh my, this place served what was by far the best cinnamon bun I’ve ever tasted. I was drawn in by Demaisie’s window display and have been dreaming of its food ever since. Warm, gooey and oh so delicious. 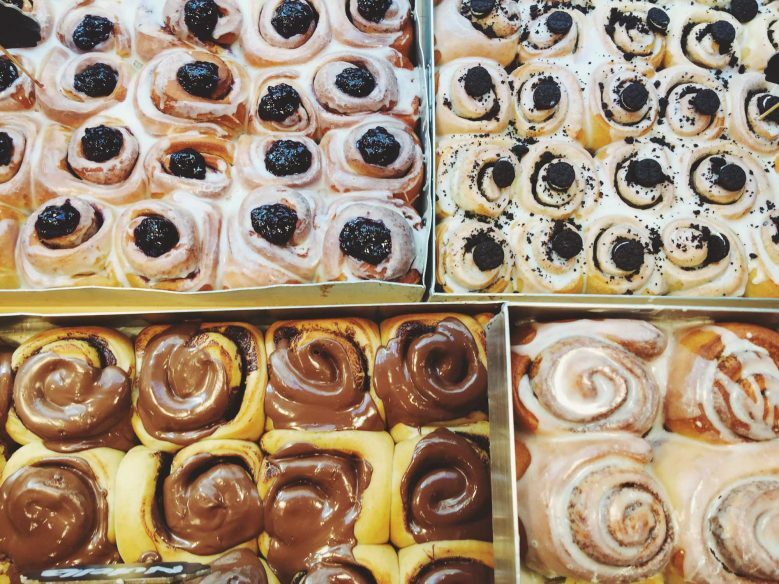 Don’t miss these buns! They come in a variety of different flavours, and the shop (no seating) also serves coffee and a few other sweet treats. Although Pipa Club is perhaps Barcelona’s best-known secret, it still feels delightfully special to press the doorbell with a nondescript ‘P’ and be buzzed inside to the rambling, hidden bar. The atmosphere varies depending on the night, but ranges from being a low-key bar to a pumping live music venue. It’s tucked into the corner of Plaze Reial in Barrio Gotico. I was reading a guidebook to Barcelona while on a train in London when an elderly man opposite struck up conversation and started to wax lyrical about his youth in Barcelona. He raved about a place called the Champagneria, and drew me a little map of how to get there. I followed his route and it became one of my favourite places in the city. It’s a tiny, hectic little bar that serves five types of cava, ranging from 60 cents to one euro, as well as a plethora of ham and cheese. If you want to buy more than one drink, you have to buy a tapa too. It’s an excellent thing to see, but if the crowd is too much for you, buy a bottle and drink it on the beach. When I first went to the champagneria, the crowds used to spill out onto the street, but nowadays there are new rules against drinking outside, plus a doorman who controls how many people can enter at a time. This atmospherically run-down bar in Ravel specialises in absinthe, the famously strong liqueur that originated in France but is banned there today. I wouldn’t try more than one! Robadores is a fun bar any night of the week, but on Sunday it shines when hosting its weekly flamenco jam session of local musicians. Get there early to beat the crowds. Razzmatazz is the queen of Barcelona’s club and music scene. I’m not into super clubs but this one has many rooms with something for every taste. It also attracts lots of big name djs and bands so be sure to check the listings. Barcelona in the summer is full of people drinking beers outside on the streets. From the beach to the plazas to hubs like Rambla de Raval, you’ll find people enjoying the balmy nights. It’s a great way to meet people. Hotel Barcelona Catedral is one of my favourite places to stay in Barcelona. It’s beautifully designed and in a central location, plus it’s family-friendly if you’re travelling with kids. It’s a beautifully photogenic place with lots of Instagram opportunities, including a pool on the roof, which is especially welcome on hot days and a perfect respite from the city. There are plenty of apartment rentals in Barcelona, including this AirBnB apartment on the edge of our favourite area of the city, El Born. 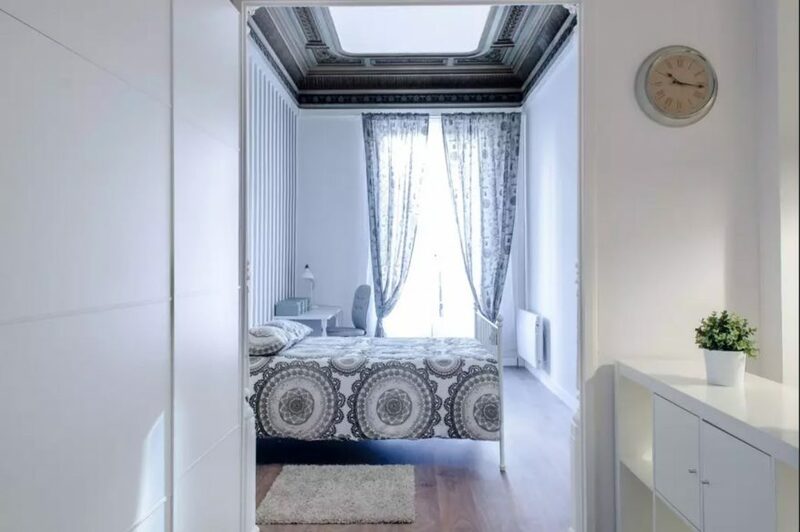 The location as perfect, just a five-minute walk from the nearest tube (Urquinaona) and just ten minutes from Plaza Catalunya, which is where the airport bus (Aerobus) drops you off. The apartment itself was big and airy with a comfortable bed and separate lounge area. It’s in a classic Barcelona apartment block with fabulously high ceilings and a little balcony overlooking the street, and reminded me of the place I used to live in the city. It’s an authentic taste of Barcelona living. There was also a kitchen, but we didn’t use it (far too many restaurants to try!). The apartment cost £63 per night, which was a bargain! Use this discount code to get £25 off your first trip. Disclosure: When we stayed at this apartment, AirBnB sponsored our stay. As always, all opinions are my own. The Rambla was a huge disappointment to me. I had imagined it to be something elegant and beautiful when in reality it’s a wildly busy thoroughfare jam-packed with tourists, living statues and awful food. Whatever you do, don’t eat there. Unfortunately Barcelona has some pretty lax laws when it comes to theft and the city is rife with pickpockets. So many people I know have had something stolen including me during my first visit to the city, and another time with Steve. The Rambla and the beach are popular targets. Don’t be scared – you just need to have your wits about you. 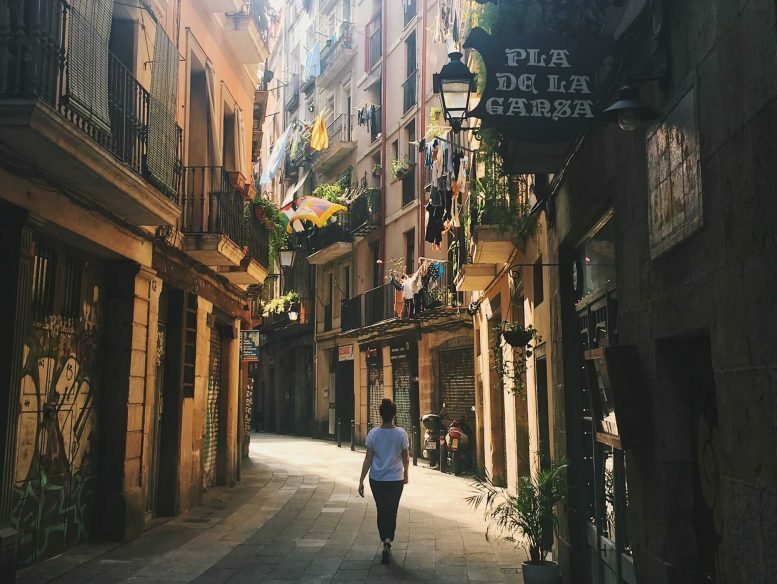 Is Barcelona a good choice for a babymoon? 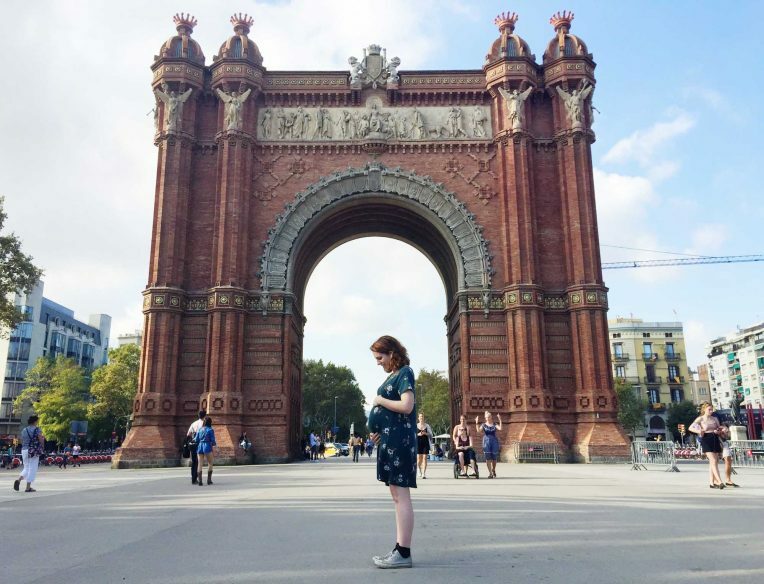 Following our babymoon to Italy, we had a second babymoon, a minimoon of sorts, for three nights in Barcelona. We already had our big babymoon in Italy, so this was more or a minimoon. I was 25 weeks pregnant at the time, nearing the end of the second trimester, but still with plenty of energy. This meant I was able to do most of the things I’d normally do in Barcelona. We walked about 20km on our first day, which was a little much, but didn’t wipe me out. Of course, every pregnancy is different, so you have to do what feels right for you. That said, I think that regardless of how you’re feeling in pregnancy, if you’re up to taking a babymoon then Barcelona would be a good choice. It’s main draw is that it has a huge amount to offer in a small amount of space. You could spend days at the beach or lounging in the park, or visit its many museums and galleries and eat your way through the city’s restaurants. There’s a huge amount to choose from and you could easily find something to suit your mood and energy level. Our first trip abroad with our son was to Barcelona when he was just three months old. 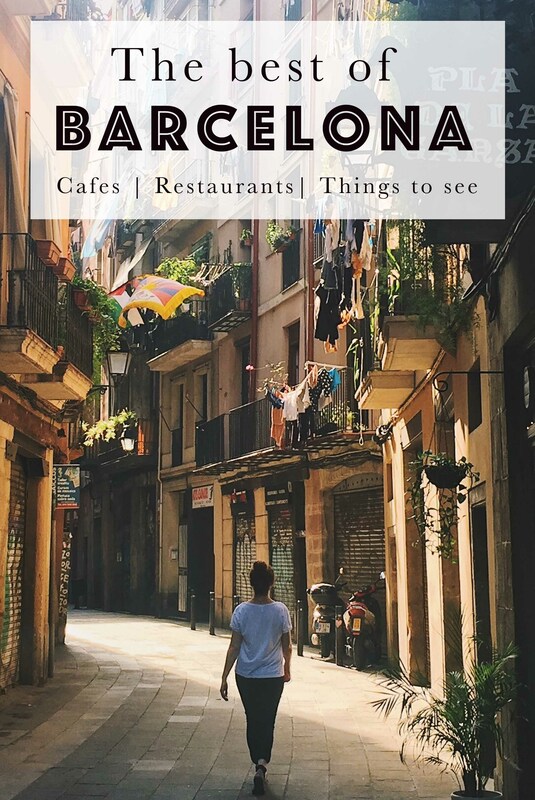 It proved to be an excellent choice and I’ve written a full guide to travelling in Barcelona with a baby. One day trip I recommend from Barcelona is visiting Garrotxa and taking a hot air balloon ride. You could stay overnight at Mas Can Batlle, which is a gorgeous guesthouse in the countryside. And if combining your trip to Barcelona with a bigger trip around Spain, here’s a handy 10-day Spain itinerary10-day Spain itinerary. Ah you’re in for a treat if you haven’t seen the Sagrada since the scaffolding came down inside. It looks amazing! Wow…. Such a amazing place and some captured pictures are awesome. Catalonia inspired me to paint oil on canvas after trip.